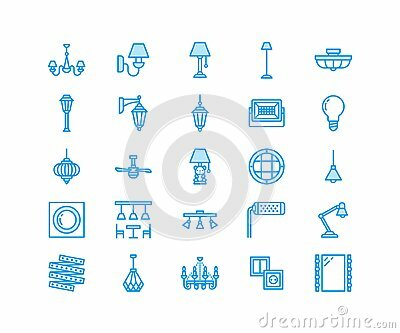 Light fixture, lamps flat line icons. Home and outdoor lighting equipment - chandelier, wall sconce, bulb, power socket. Vector illustration, signs for electric, interior store. Pixel perfect 64x64.